I love to bake and with one teenager left at home I find that making cupcakes for him just makes my life easier less messy. 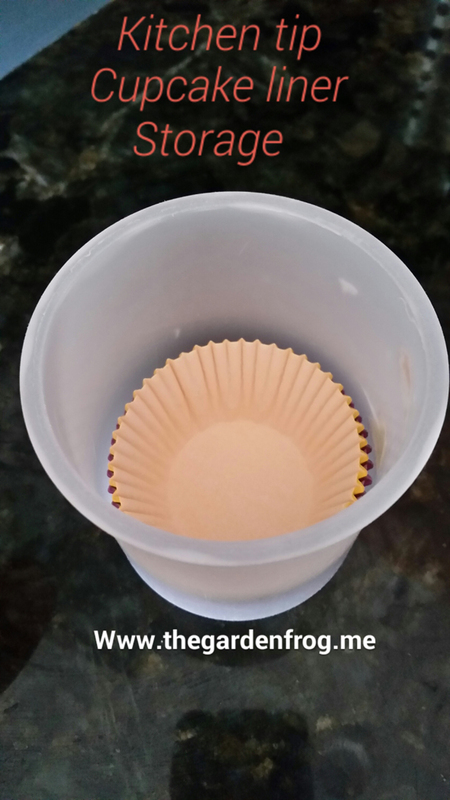 Using cupcake liners helps me keep track on how much he is eating too since 6’2″ teen can eat a lot! Plus cupcakes just belong in pretty liners. 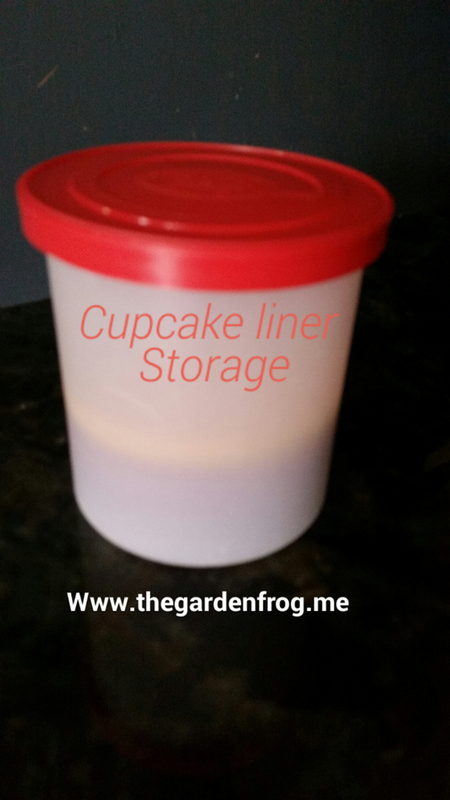 Just upcycle your empty frosting container. Decorating is optional. 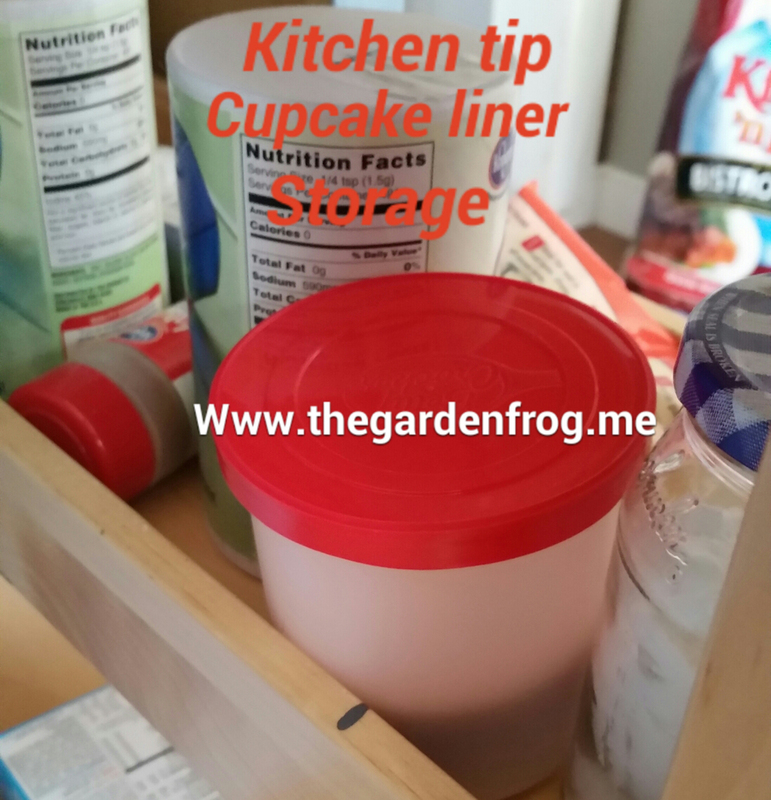 The cupcake liners fit perfectly and keeps the dust free. 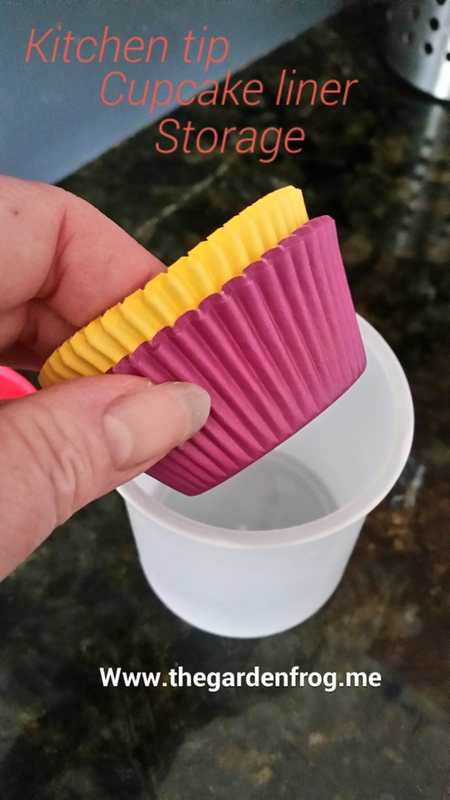 After baking for many years, I have found a few tricks that work for me and my family. There are a lot of ideas out there and over the years I have discovered many little tips and tricks that I hope to share with you through the journey of building my blog.